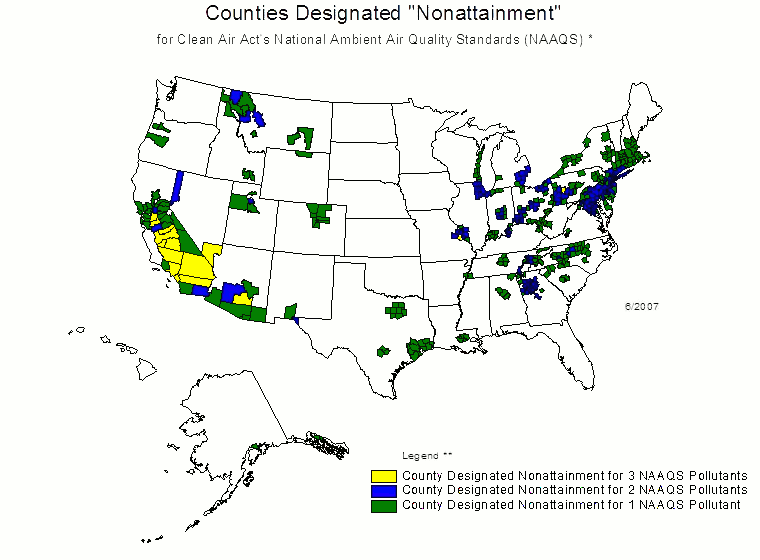 Map of National Ambient Air Quality Standards (NAAQS) in the U.S. The NAAQS are health standards for lead, carbon monoxide, sulfur dioxide, ground-level 8-hour ozone, and particular matter (PM-10 and PM-2.5). There are no nitrogen dioxide nonattainment areas. This page was last edited on 28 December 2010, at 00:21.